Should You Let Interns Handle Your Social Media? Each year more companies realize the importance of being on social media. For many small to mid-sized businesses, it has been a neglected piece of the marketing puzzle because managing each social media account can be very time-consuming. Business owners would much rather spend that time closing the next major business deal instead of being on a computer monitoring social conversations or even going through the hassle of trying to learn how to do social media marketing themselves. 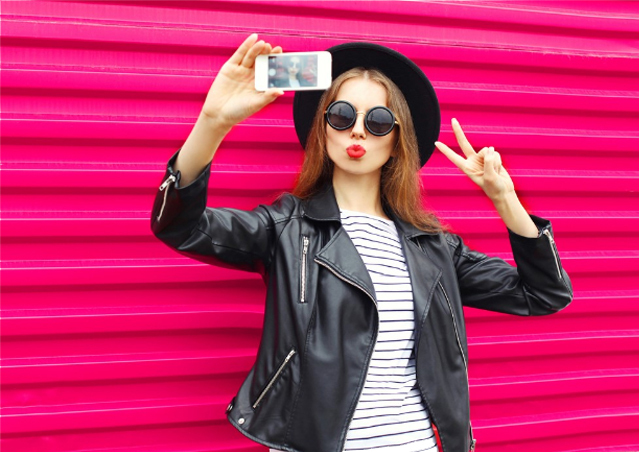 According to the PEW Research Center, the men and women between the ages of 18-29 years old are dominating each of the major social networks. Wouldn’t it just make sense to hire the people who statistically use social media the most to handle it for you? The quick answer is not necessarily, but it’s important to understand why. 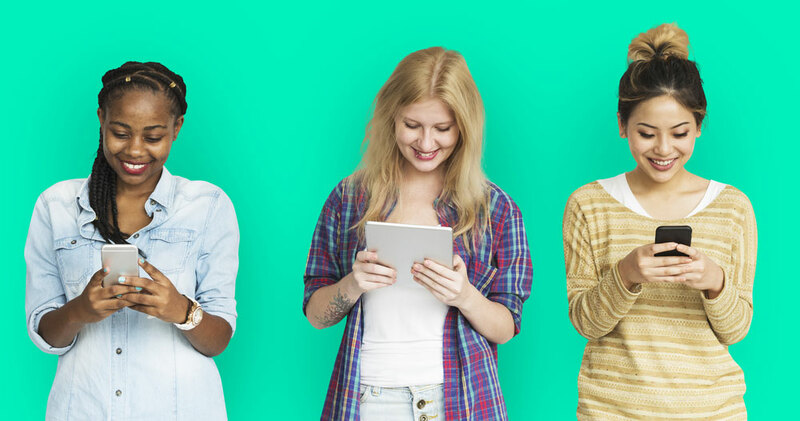 While interns can be a great asset to completing necessary tasks for your company, there are several things to consider before giving them full reins to your company’s social media accounts. In this blog post, we’re providing you five factors to consider before hiring an intern to handle your social media. 1. Handling social media for a brand is different than handling personal social media. The intern you’re hiring may look promising because they have over 5,000 followers on each social network. They obviously are doing something right, right? Being successful at managing personal social media accounts doesn’t always translate well into managing a business account. While they might be successful with their niche audience, they likely aren’t going to learn how to be successful with your ideal customer audiences overnight. For example, their audiences might be following them for posting hundreds of funny memes or selfies, while your audience might be looking for the latest innovation in healthcare technology. Social media algorithms for business pages also work differently than personal social media accounts. Unfortunately, the algorithm does not work in favor of business pages. In fact, in 2014 organic reach for business pages were as low as 2% and an algorithm change late last year cut organic reach in half again. Low organic reach ultimately means that more work, thought, and ad dollars must be put into a social media strategy than a personal social media page would require to get similar results. 2. Social media is one of your company’s most public-facing assets. Would you let an intern handle the contents on your website? If you answered no, then ask yourself why. Your social media pages will likely receive even more exposure than your company’s website. Everything that is pushed out on your social media account will be accounted for in your overall brand image. You need to make sure that your social media content is in line with how you want the overall tone for your brand to be portrayed. Remember, once something makes it to social media, it will remain on the internet forever, even if you delete the post right away. 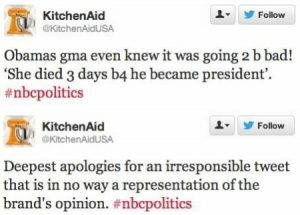 One tiny mistake can make national news. Without someone experienced handling your social media ads, it’s very easy to make a simple mistake that could end up costing your business hundreds, even thousands of dollars without noticing. For example when handling Facebook ads, if you don’t flip the switch correctly from lifetime budget to daily budget, your $1000 Facebook ad budget for the month, could easily become a $30,000 monthly budget. This simple mistake might seem like a no-brainer, but it’s more common than you might think. In addition to the setup of the ad sets themselves, experience is the number one factor that will give you more bang for your social media buck. No amount of Marketing 101 textbooks or online articles can give you the secret sauce for creating the most efficient social media ad campaign for your industry because it is constantly changing. Anyone who continuously tests what is working for their social media ads each day can tell you that their secret sauce for lower cost ads mainly comes with experience. With every great social media account, comes great responsibility! Let’s be honest, every engagement on your social media page isn’t going to be a positive one. Will your intern have the professional customer service skills and social media skills to handle negative feedback properly? 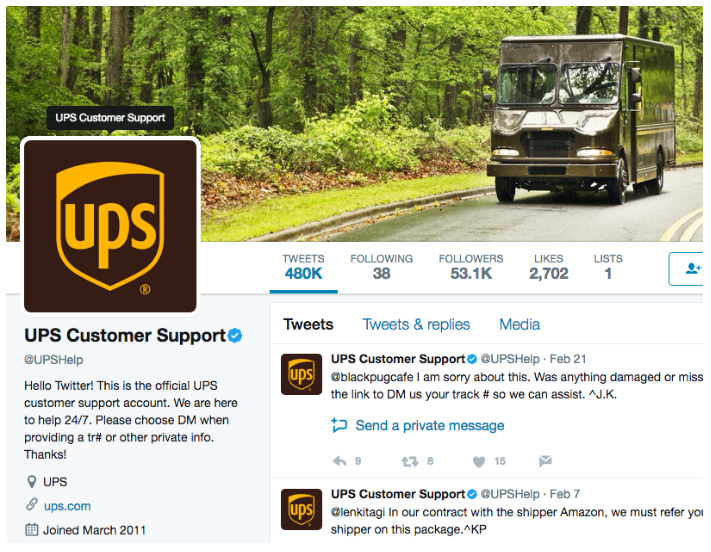 In some ways, social media has become the modern-day customer support call center. Many large companies such as Apple, UPS, Amazon, Hulu and Postmates have even implemented secondary social media accounts strictly to handle complaints they receive on social media accounts. Many internships happen over summer break. In most cases they are meant to gain some real-life experience while still attending school. Many students don’t have the time to take on a full-time position once their next semester starts again. 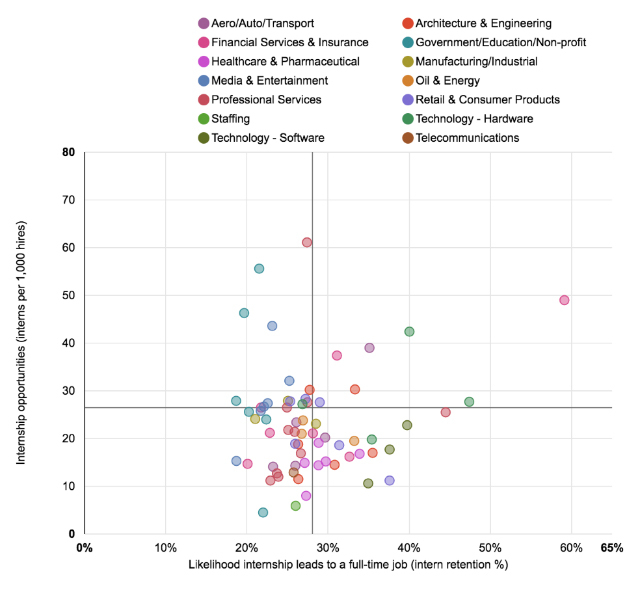 The graph below shows the typical internship retention rate across a variety industries. As you can see, there is only one industry that has an intern retention rate of over 50%. What does this mean for you? This low rate of retention means that you will likely have a disconnect in your social media. Unless you end up hiring your intern to work full-time (assuming they accept the offer) you will have to keep transitioning new people to handle your social media accounts. Every new intern will likely have a different writing and aesthetic style, making it more difficult to hand off your social media accounts seamlessly and professionally. Although most likely a rare circumstance, you may also risk the possibility of having a salty intern who didn’t get the job offer they were expecting, sabotage your social media accounts. We don’t want to discredit interns because we have all been at the starting points of our careers at some point in our lives. Hiring interns is a great way to gain real life experience outside of the textbook world while easing the workload. It’s important to note that we strongly encourage hiring interns to help with your social media marketing efforts. On top of providing them with a great opportunity to learn and hone their skills, they can bring a fresh take to your activities and with the proper direction can take on some of the more time-consuming tasks. 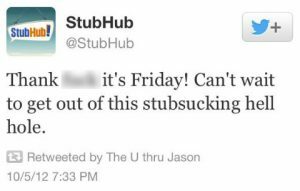 We just encourage you to give a second thought to turning the management of your social media marketing over to an intern. Always remember that everything that goes out on social media stays on the internet forever. If you’re considering hiring an intern to handle your marketing efforts, it may be time for your business to consider partnering with an experienced and reliable marketing company to handle all your content marketing services.